Were You Injured in a Residential Construction Accident? Residential construction worksites can be extremely dangerous, especially if contractors haven't followed proper OSHA-mandated safety regulations. In fact, nearly 30% of injuries on residential construction sites are attributed to falling accidents. According to the Occupational Safety and Health Administration, the five most hazardous elements of a home or townhouse worksite are unregulated scaffolding, lack of fall protection and training, unsafe ladders, lack of head protection, and poor stairway construction. If you've been injured in a residential construction accident – whether it was fall, defective product, or any other type of accident – contact our attorneys today. For a free consultation, call us at 1-866-943-3427 or simply fill out our online legal consultation in the top right corner of this page. 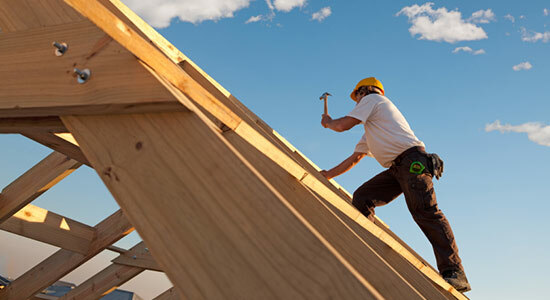 We can help if you've been injured in a residential construction accident. When you call our law firm, we'll review your case for free. Our legal professionals will examine the details of your unique situation and determine whether or not you have a case. Our legal consultations are quick, easy, and absolutely free. With over 35 years of experience, we know what it takes to get you the maximum amount of money for your injuries. Big companies have teams of attorneys standing by, concerned with only protecting their bottom line. They'll try to force you into a low-ball settlement, hoping you'll accept less than you deserve. We don't think you should have to fight them alone. Call us. We'll help you cut the red tape and get the money you deserve.